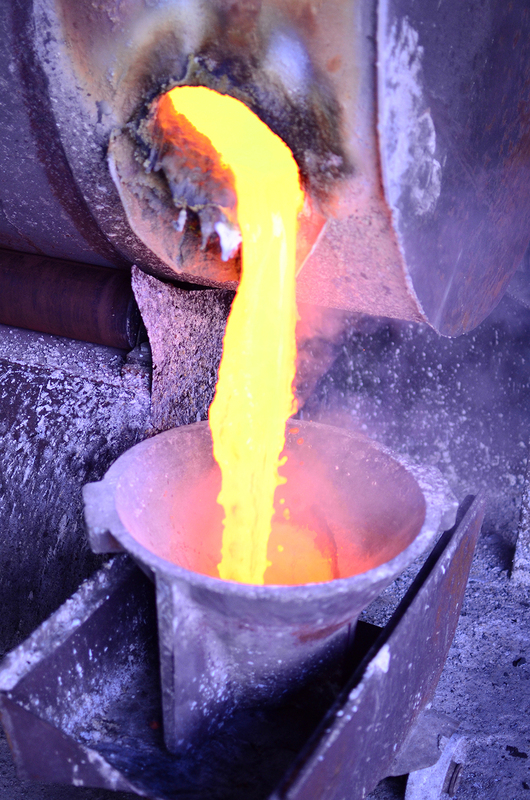 Cascade Refining has been refining precious metals since 1974. What exactly is refining? Refining as defined in Webster's dictionary is "to remove impurities or unwanted elements from (a substance)." The vast majority of all gold jewelry is made from a gold alloy. An alloy is a combination of two or more metallic elements. They are often combined or alloyed together to increase strength or corrosion resistance of the metal. In the case of gold alloy, the different alloys are much stronger than pure gold and allow for more durable jewelry and they also allow for different price points while still having the same look of gold. Most gold alloys are a mixture of gold and various amounts of silver, copper, brass, or other base metals. In order to refine these alloys into pure gold, we need to remove those other metals. A common way to refine gold is by using aqua regia. Aqua regia is Latin for "royal water" because it can dissolve the royal or noble metals, gold and platinum. This solution is a mixture of nitric and hydrochloric acids, these two acids by themselves are not able to dissolve gold but by mixing them in a precise ratio they are able to dissolve gold into solution. They are able to do this because nitric acid is a powerful oxidizer, which will dissolve a minuscule amount of gold, forming gold ions(Au3+) and the hydrochloric acid provides chloride ions (Cl−), which react with the gold ions to produce tetrachloroaurate anions. The reaction with hydrochloric acid is an equilibrium reaction which favors formation of chloroaurate anions (AuCl4−). This results in a removal of gold ions from solution and allows further oxidation of gold to take place. The gold dissolves to become chloroauric acid. At this point the gold can be precipitated out of solution, filtered, refined again (if needed) and melted into a bar to be sold. Another method of refining is called electrolysis. This process is generally used to refine silver and copper. Electrolysis requires a few basic components: a piece of impure silver or copper as the anode, a thin sheet of pure silver or copper as the cathode, an electrolyte solution (which is an acidic solution of copper or silver), and electricity. By passing electricity through the cell, the anode slowly dissolves and the silver or copper that is in solution is deposited on the cathode. Impurities either remain in solution or collect as an insoluble sludge. This process can also be used to refine extremely pure gold using the chloroauric acid explained above as the electrolyte solution. These methods of refining are potentially very dangerous. Mixing the wrong chemicals can be disastrous, even lethal. Many people think that they can refine their own metals and save money on refining costs when the reality is the cost of the chemicals, your time, and the risks outweigh the potential money to be saved. Leave the refining to the professionals at Cascade Refining.